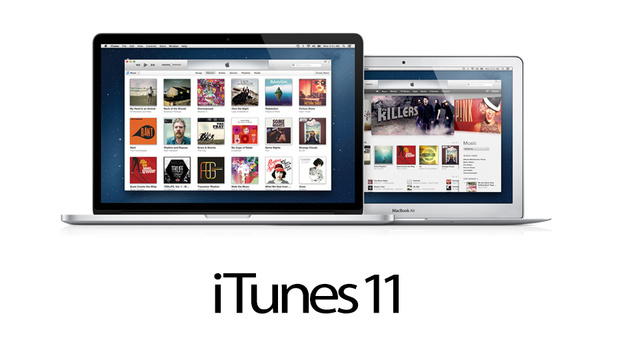 After a short delay, iTunes 11 is finally here. 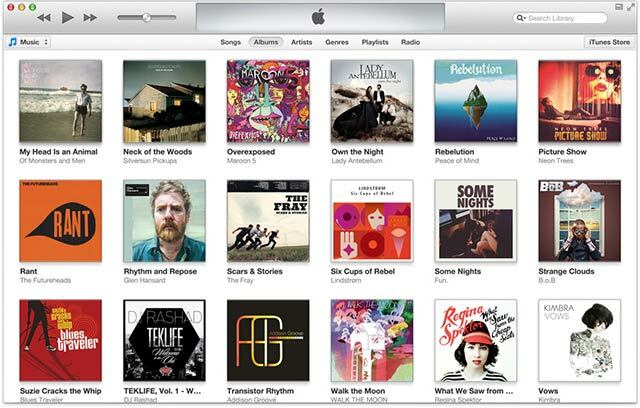 Redesigned by Apple from the ground up, iTunes 11 represents a major update of the world’s most popular media hub. iTunes 11 has made improvements across the board, including a lighter, simplified player, an updated iTunes Store and more extensive iCloud integration. 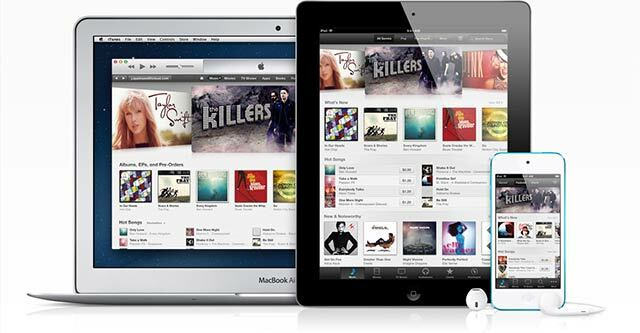 The first thing you will notice about iTunes 11 is the design. It’s cleaner, simpler and much more lightweight than before and everything – scrolling, searching, tabbing – feels faster. By default, the old iTunes sidebar that contained items like Music, Movies, TV Shows and the iTunes Store is gone. It’s removal provides much more screen real estate for navigating through your content, but it does mean that switching between content types is that little bit slower. There is now a drop-down menu in the top left that allows you to flip between your music library, your movies and apps etc, but if you really want the old menu back you can still access it by navigating to View > Show Sidebar. Playlists have been moved in iTunes 11 from the now-extinct sidebar to a tab along the top of the player next to the filters for Songs, Albums, Artists, Genres and Radio. The iTunes Store has also been shifted, and is now accessed via a small button in the top right of the app. Cover-Flow has been toned down a fair bit, and is now a more subtle (and practical) addition to the music browsing experience. As you navigate through the new “Expanded View”, you are given information on the tracks in a particular album, with the album artwork displayed across the top. iTunes 11 introduces a completely redesigned miniplayer that Apple promises can “do a whole lot more with a lot less space”. Overall, the MiniPlayer is smaller, more simple and more elegant than before. The standard controls like play, pause, skip and volume have all been removed, made redundant by the buttons on all Mac keyboards that let you control your music without even having iTunes on-screen. 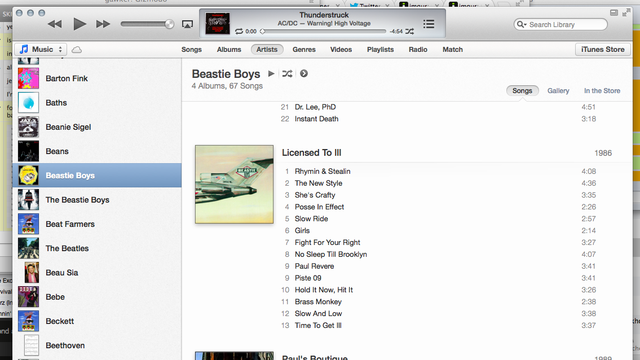 The iTunes 11 MiniPlayer makes better use of the space available by actually showing what’s playing, including album art. The MiniPlayer also shows what’s coming up next and makes it easier to search for a new song without having to open up the main player. iCloud has been integrated in to iTunes 11 much more deeply than before, with a focus on making your media accessible everywhere, on every device. If you buy an album or a movie from the iTunes Store on your iPhone, it will now automatically show up in your computer’s music library. The file doesn’t automatically download, rather iTunes loads up a placeholder which lets yoiTunu stream the song with a single click. Each placeholder has a button enabling you to download the track at a later date. Purchases in iTunes 11 can be played directly from iCloud or they can be downloaded to iTunes for syncing to your iOS devices. With iCloud syncing, you can pause movies, TV shows, podcasts, audiobooks or iTunes U files on one device – like your iPhone – and then pick up exactly where you left off on another device when you get home.